Gmail account is the now most important if you are a regular internet user. First Google has only Google Mail service but now it has all its services such as Google Maps, Google Drive, Google Plus. To make your presence on the internet you should create Gmail account. 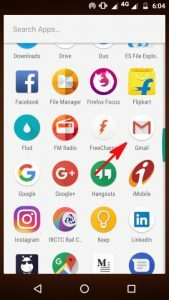 Here I will tell you how to create Gmail account on android in easy steps. Then you can use your new Gmail account to receive emails, to store anything on Google drive. 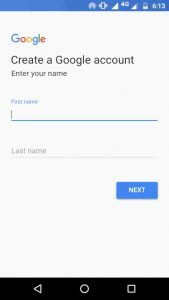 To create Gmail account you just need a mobile number. 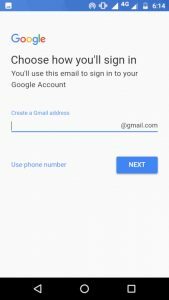 You have to follow simple steps to open Gmail account. 2. Therein menu you will find already signed in Gmail account. tap on it and select Add account. 3. A window will open. Now select which account do you want to add here. We want new Gmail account. So select Google. 4. Select Create Account, enter your details such as First Name, Last Name, Date of Birth, Gender. 5. Now create the email ID you want to set for the account. 6. 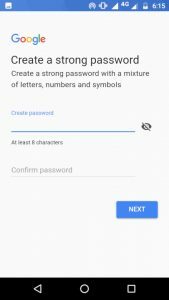 Create a Strong Password for the account. This password and account will be required for almost every Google product or service you used. 7. After entering your phone number one otp will be sent to verify it. 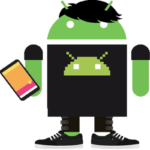 And here you successfully create Gmail account in android. You can use multiple Gmail accounts in android. 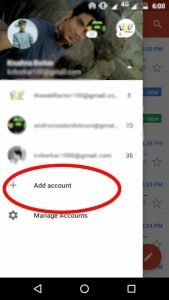 Just create new Gmail account as shown in above steps. You can easily switch between multiple Gmail Accounts in android. If you have any doubts regarding Google Accounts please ask in the comments section.